Applied psychology to understand the psychology of each staff member. This condensed course takes very little time to complete and you can do it at a convenient time; even on your phone. Business consultants will discover new ways to help clients with their existing staff. 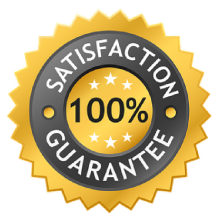 If you are coaching an individual on customer service then this report is exactly what you need. 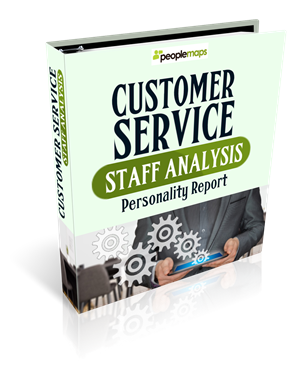 This personality report will describe the staff member’s natural behaviour in all aspects of customer service. You will see what they do well naturally and where they need support. 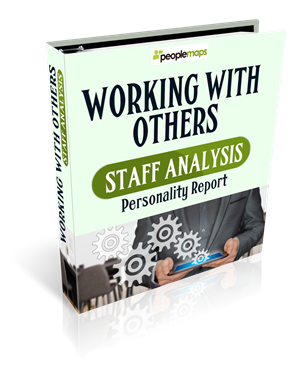 Use this report when you are you helping a staff member work more effectively with other people? Not all staff get along and if someone is struggling to work with their colleagues then it can bring the whole team down. This personality report will show you where you need to focus and perhaps help explain why they are struggling. This personality report should be used when you are embarking on any kind of sales training. There is a huge amount of psychology at play in every sales scenario. Understanding how an individual’s personality affects how they sell is critical if you wish to help them be more effective at selling. This personality report will help you understand how the staff member approaches selling and what their underlying issues may be. If you are coaching a line manager on how to be a better line manager, then use this personality report. Managing other people is extremely challenging and how one approaches it is very much determined by your personality type. This report will help you understand an individual’s natural approach to management and therefore where they need training and support. Discover how Staff Analyser Pro can help your clients solve some of the most challenging problems they face. 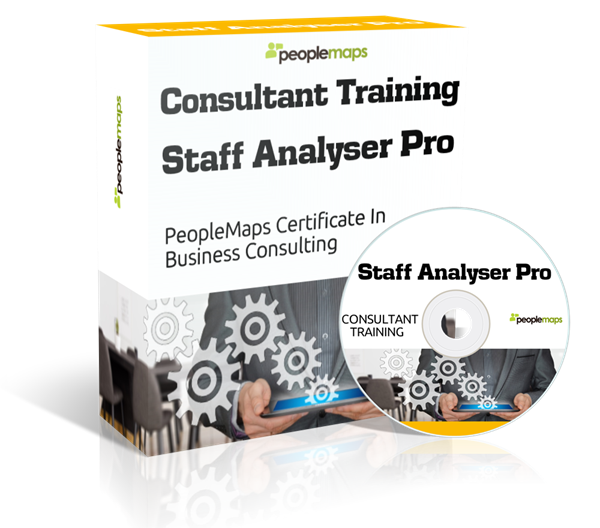 Learn how to conduct a power training needs analysis using Staff Analyser Pro. Learn how to configure the Control Room for each client and fully customise the application. We all learn differently. As a consultant or trainer, you will find it helpful to understand each staff members learning style. Each Staff Analyser pro personality report includes a section called Learning Style which you and your clients will find insightful. Yes, You are provide with a free extract from your report. Your full report is 40 pages long. Your free report extract will give you an idea of just how insightful the personality report is. if you are still not sure, then try the free extract.